Polish and other speakers at the Warsaw Security Forum on Wednesday (24 October) exposed the Gazprom-sponsored Nord Stream 2 pipeline as a security threat for the EU and NATO. With its construction launched three years ago, the Nord Stream 2 gas pipeline project has dramatically worsened already tense relations between Germany and Poland. While the EU is bewildered by Berlin’s insistence to go ahead, Warsaw now highlights the security implications of the project. 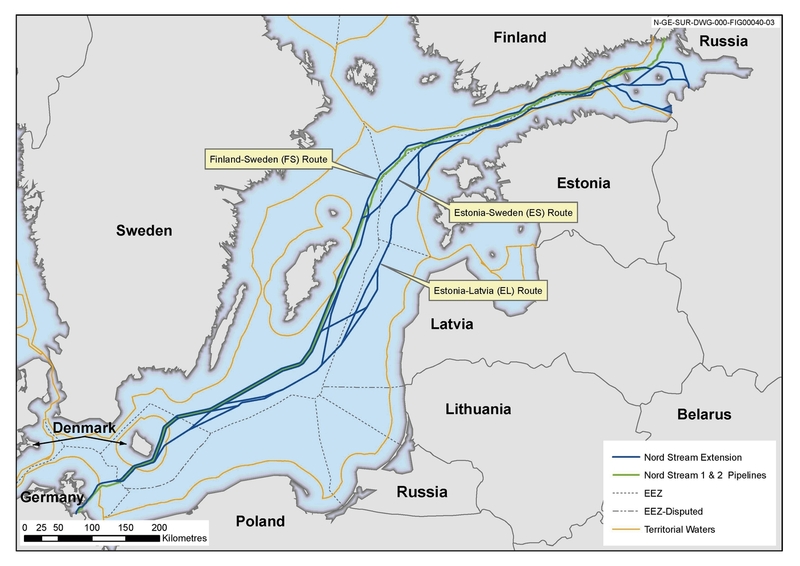 The planned Baltic Sea pipeline, led by the Russian state monopoly Gazprom, is on track to be completed in 2020 for a cost estimated at €10 billion by its promoters. When in full operation, it will supply up to 55 billion cubic meters a year (bcm/y) of Russian gas directly to Germany, bypassing Poland and Ukraine, the two most vocal critics of the pipeline. Warsaw sees Nord Stream 2 as a threat to Europe’s energy security. Polish authorities want to ensure that the second branch of the pipeline currently under construction is subject to EU law, which would make the investment unprofitable for Gazprom. Polish Foreign Minister Jacek Czaputowicz warned of the project’s wider geopolitical and security implications. If completed, the pipeline could become a political tool in the hands of Moscow: “The transmission line itself gives Russia a pretext to patrol the entire Baltic Sea or it can be used to send information. 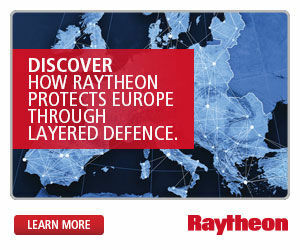 It has this military dimension,” said Czaputowicz. Przemysław Żurawski vel Grajewski, a researcher at the University of Łódź, told EURACTIV the project could be used for detection of “objects in motion”. 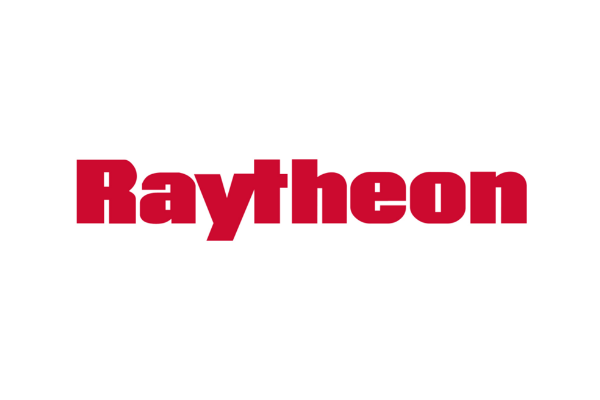 “Fiber optic along the pipeline can be excellent infrastructure for tracking the movement of naval vessels in the Baltic Sea and would constitute a heavy blow against security in Eastern Europe,” he said. The US has previously said Nord Stream 2 raises intelligence and military concerns. Furthermore, the Russian Navy’s activities on the Baltic sea could continue to increase under the pretext of protecting the pipeline – a fear that grows stronger in the light of Russia’s increased activity to secure dominance over the Black Sea and Azov Sea. Ukraine’s revenues from the transit of Russian gas are about as high as its total military budget. If the gas no longer flowed through Ukraine, Russia could step up its action in the country by stopping the flow of gas entirely, warned Ukrainian MP Hanna Hopko, head of the Committee on Foreign Affairs. Building the pipeline “is like feeding the beast,” Hopko said. The debate weighs heavily on NATO too. “In recent years, this raw material has become Moscow’s weapon,” the former head of NATO, Anders Fogh Rasmussen, said in a conversation with reporters on the sidelines of the Warsaw Security Forum. “Russia shares where it can, and it knows that this project will help to drive a wedge between European and transatlantic unity,” he said. 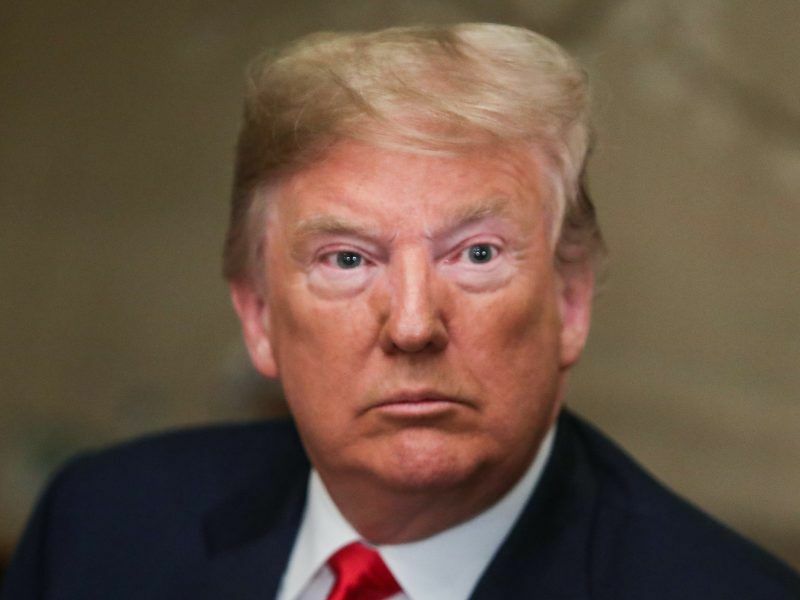 During the Brussels Summit in July, US President Donald Trump called Germany out for being “Russia’s prisoner” because of its dependence on Russian gas. “The only country that can stop this project is Germany itself,” Rasmussen told reporters. Tensions between Warsaw and Berlin over the pipeline were apparent on Tuesday (23 October) when Polish President Andrzej Duda paid an official visit to Germany. After meeting German President Frank-Walter Steinmeier, Duda once again called for halting Nord Stream 2, saying the planned pipeline disturbs the “energy balance” of the whole region by increasing the dominance of one single supplier, a common refrain also heard in Washington. Duda pointed out that there was a US offer on the table to supply liquefied natural gas (LNG) to Europe. 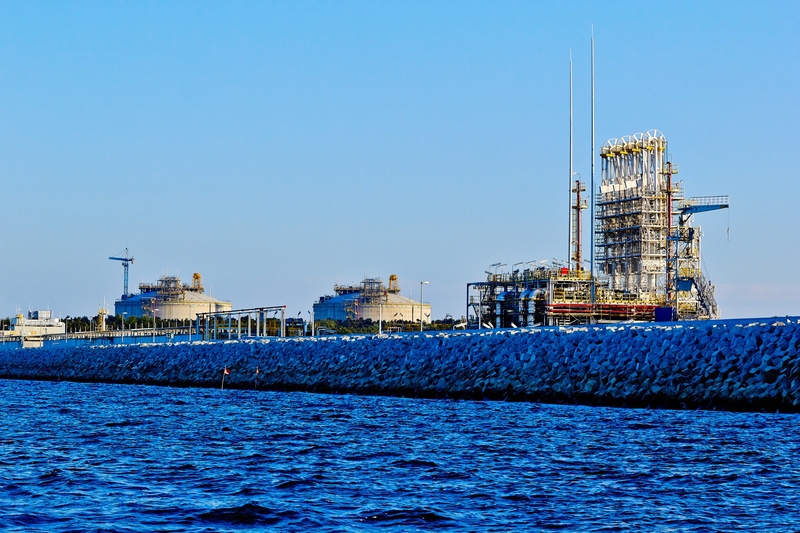 Poland is currently building an LNG terminal on the Baltic Sea in Świnoujście, which receives liquefied gas from Qatar, Norway and the US. Poland is finishing preparations for liquefied natural gas deliveries which should go into fully commercial regime next year. EURACTIV Czech Republic reports. 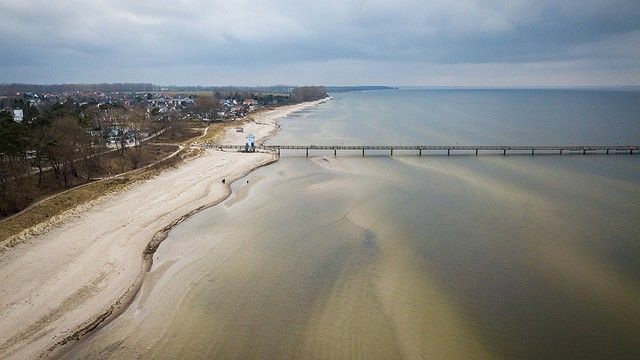 In parallel with Nord Stream 2, Russian company Novatech also has plans to build an LNG terminal in Germany – only 140 kilometres away, in Rostock. Change of heart in Germany? Berlin has long argued that Nord Stream 2 has no political motives. “The decision to buy gas is a business decision, not a political one,” Steinmeier said after meeting his Polish counterpart this week. Berlin, however, is also preparing to increase imports of LNG in Germany, a government spokesman said on Wednesday. “The government is looking at what financing options in the framework of existing government programmes could be made available,” spokesperson Steffen Seibert told reporters in Berlin. The US may introduce sanctions against participants in the Nord Stream 2 consortium as early as November, says Peter Beyer, an adviser to Chancellor Angela Merkel on transatlantic policy. To improve relations with Washington, Merkel’s government intends to support the construction of a German terminal to which US LNG could be imported. There are currently five draft sanctions in the US Congress against companies from Germany and other EU member states involved in the Nord Stream 2 project. Should at least one of them be applied, the Western partners could back out of the project, Agnia Grigas, an energy and political risk expert with the Atlantic Council, told a roundtable at the Warsaw Security Forum. “I don’t think that Nord Stream 2 is a done deal and will be completed,” she stated. Doubts are also fed by Denmark’s reluctance to give its approval to the route. Germany, Sweden and Finland have already given the go-ahead, but the Danes want to review the project once again at a pan-European level, partly because of its impact on Ukraine. Kyiv could lose billions of dollars in transit fees if Russia sends its gas through Nord Stream 2 instead of Ukraine. 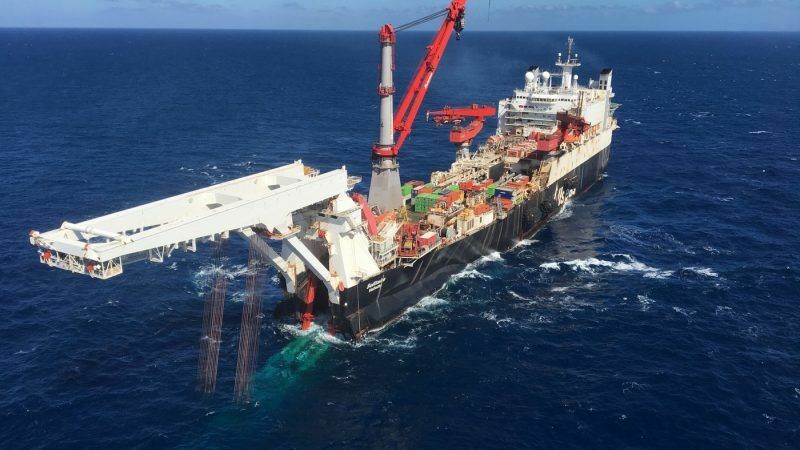 The Pipeline Consortium has requested an alternative route that would bypass the Danish territorial sea, the German Federal Maritime and Hydrographic Agency (BSH) announced this week but other doubts about the project persist. “Investment in the Nord Stream 2 pipeline contradicts business logic. It will pay at the earliest in a few dozen years and is only an opportunity to exert political influence on Europe,” Russian expert Ilya Ponomarev told interested parties in Warsaw. A study from May 2018 by two analysts at Sberbank CIB suggest that the main beneficiaries of Nord Stream 2 are the contractors hired to build the pipelines, rather than Gazprom or its shareholders. These contractors include Stroygazmontazh and Stroytransneftegaz, owned by Russian oligarchs close to Russian President Vladimir Putin. The two analysts were fired shortly after publishing their evaluation. Western Europe has been relying on Russian gas for over half a century now and that isn’t going to change soon. Germany’s support for the pipeline is a commercial and rational one, simple as that. Russia has good reasons for bypassing Poland and Ukraine, why not do some balanced reporting and discuss that as well? The USA is entirely self-serving in it’s demands and the Poles are very eager to please them. This “security threat” is entirely overblown and will mostly be ignored. “Fibre optic cable being used to track the movement of vessels” – they could just consult the shipping register or use one of their many spy satellites. Good trading relationships prevent military conflict not encourage it. The Polish manufacturing industries will never match the Germans’ and the Polish gas imports will never replace Russian gas. If they think that whipping up a bit of hysteria will change things their way, they are wrong. This article sounds like typical neocon war mongering to me. It is the US that is trying to drive a wedge in pan-European cooperation – rather than Russia trying to drive a wedge in trans-Atlantic cooperation. Also the West-European demand for gas is expected to rise because its own gas fields are declining. So the Ukrainian pipes would still be needed. But they probably won’t if Ukraine keeps behaving likes Washington’s lap dog by abusing the pipes for blackmail.